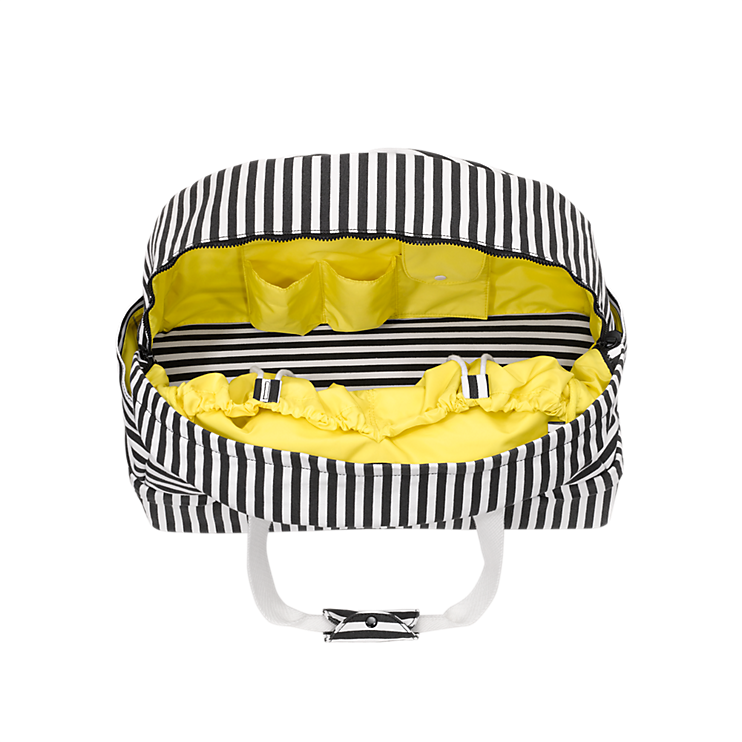 Kate Spades much anticipated new line, Kate Spade Saturday, has finally hit the shelves! Armed with the goal of capturing the “carefree spirit of the weekend”, the new line is poised to serve all of us ladies who love everything about Kate Spade except the prices. 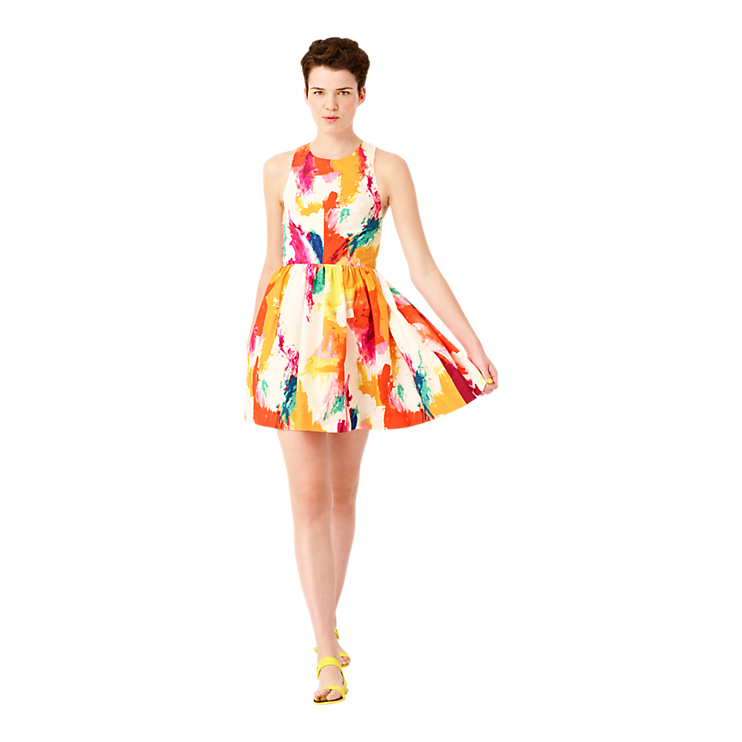 Saturday has all of the playful whimsy that defines Kate Spade and then some. Flirty dresses, fun graphic prints, versatile bags and cheeky accessories take center stage. New items are added every Saturday which makes me feel bad for the employees but happy for my closet. After perusing the site, it appears nothing is over $200 – dresses range from $140-$180; shirts from $30-$90 and earrings are as low as $20! Here are a few of my favorite picks. Make a statement with your phone. A black and white graphic print is perfectly accented by a bright, bold color, a defining factor of much of the Saturday line. They’ve thought of everything with this bag. Strategic pockets and even a shoe compartment make this bag an ideal traveling companion, as the name suggests. This dress, which also comes in blue and black, has an adorable open criss-cross back. My love for polka dot blouses endures! This is my absolute favorite item from the entire collection. While I think my curves would make the print zag where it should zig, I love it so much I might not care! 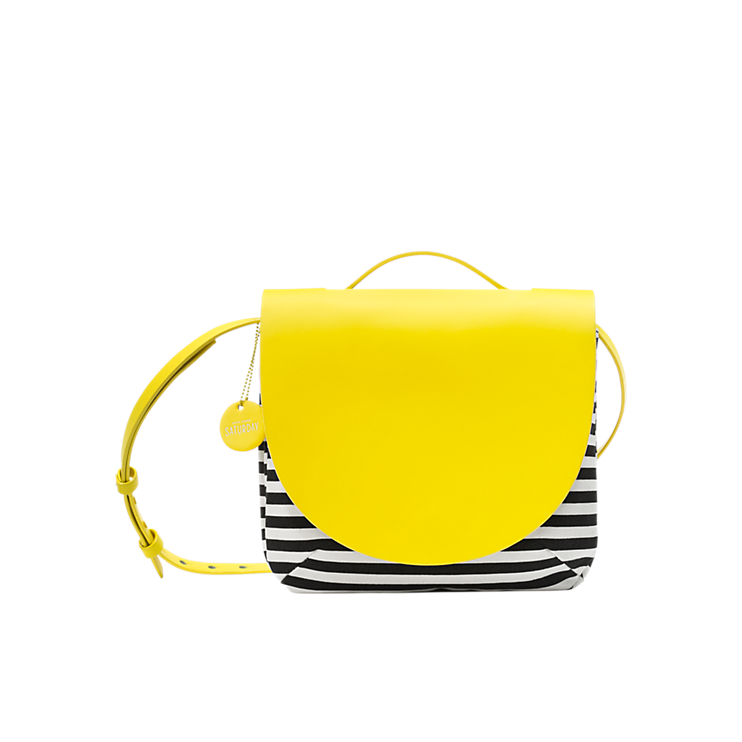 Kate Spade Saturday takes the phrase “working for the weekend” to a whole new level! « Like it. Love it. 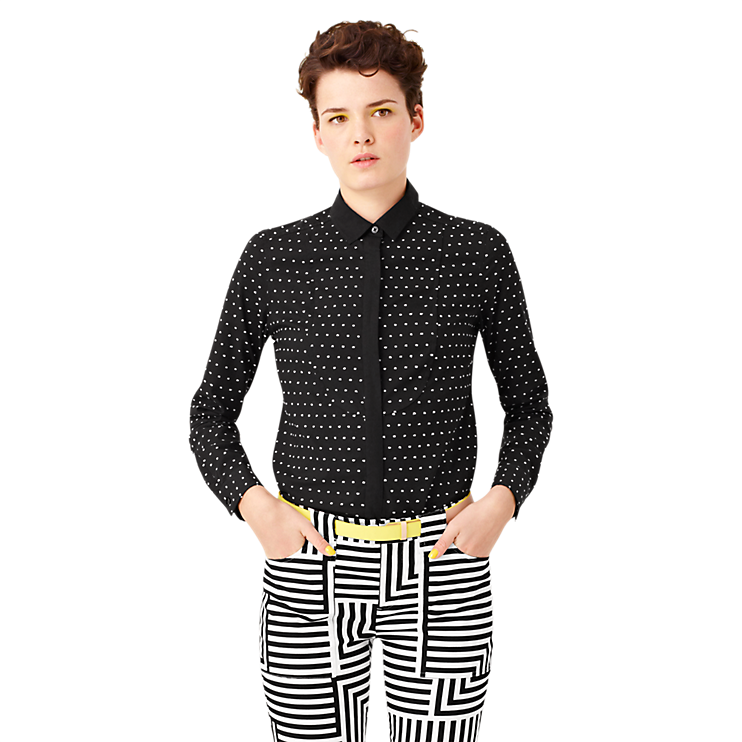 Buying it: Polka Dotted. 1Pingbacks & Trackbacks on Saturday on Wednesday!